BR ‘4MT’ No. 80072 has become a third Standard tank announced for the North Norfolk Railway’s forthcoming ‘Spring Steam Gala’ on April 20-22. 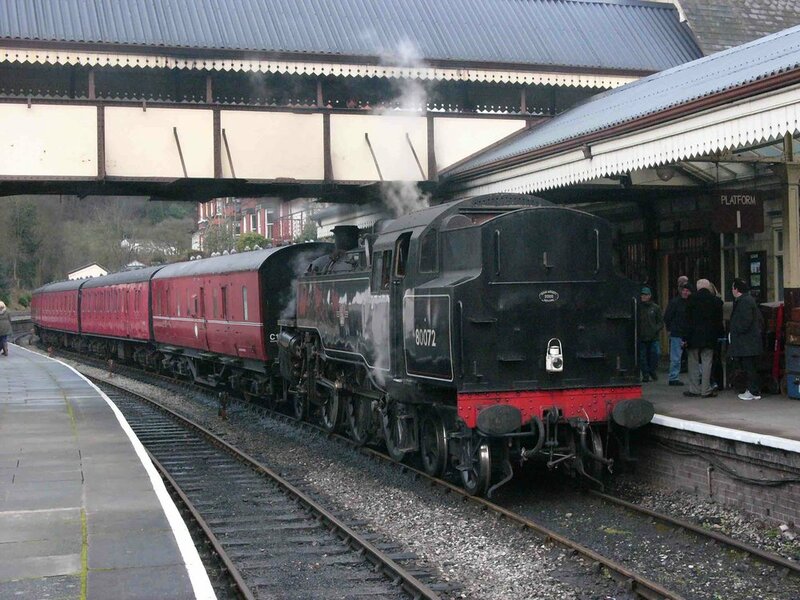 The Llangollen Railway-based 2-6-4T replaces Southern Locomotives Ltd.’s No. 80104, which itself was announced as a replacement for the North Yorkshire Moors Railway’s No. 80136. The NNR says: “We have been notified that the Swanage Railway deeply regrets that, due to locomotive availability, they will now, unfortunately, be unable to loan No. 80104 to us for our upcoming steam gala. No. 80072 will be appropriately paired with the ‘Poppy Line’s’ suburban stock at the three-day event, having worked out of Fenchurch Street on the London, Tilbury & Southend railway during its BR career, when it would have hauled similar vehicles on the intensive commuter route. The Standard tank will be joined by BR ‘2MT’ No. 78018 at the gala, courtesy of the Great Central Railway and the Darlington Railway Preservation Society.